Last Sunday, a Cleveland fertility clinic experienced a rare refrigerator malfunction, potentially affecting thousands of its patients' eggs and embryos. It turns out, on the very same day a San Francisco fertility clinic's storage tank experienced a similar temperature fluctuation with its own inventory of egg and embryo assets, ABC News has learned. 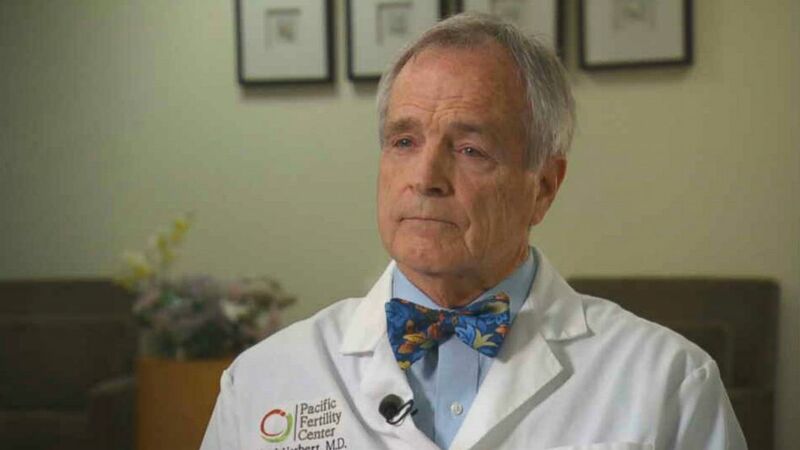 Dr. Carl Herbert, president and medical director at the Pacific Fertility Center in San Francisco, told ABC News that in his 35 years of Cryopreservation it is an "an unusual event" where two clinics and two liquid nitrogen storage tanks where the tissues are stored "failed." "This is incredible," Herbert said. "This the first ... event where two tanks of this nature failed." Herbert said that at his clinic a senior embryologist noticed that toward the end of the day, when he does his routine checks of the tanks, he "recognized that the nitrogen level in one tank was very low." The fix involved what Herbert called an "emergency filling" and the tank with the depleted levels of liquid nitrogen was refilled. Another filled tank stored downstairs in the building replaced it, and the tissue specimens were transferred. That embryologist, Herbert said, "immediately rectified" the problem and he applauded the clinic's decision to "retire" the troubled tank and replace it with a new tank. The fallout in San Francisco mirrored the same fertility fridge malfunctions that the University Hospital Fertility Clinic in Cleveland, where on Sunday 700 patients were left to guess if the eggs and embryos they froze there were still viable. Patti DePompei, president of UH Rainbow Babies and Children's Hospital, appeared on video to say she was "incredibly sorry" for what she admitted was a "mistake." The hospital leader said a "deep investigation" was launched to determine if the "partially thawed eggs and embryos can be used for in vitro fertilization" and that patients were being informed. In the wake of the San Francisco incident, Herbert said the clinic has begun a conscientious letter-writing campaign to about 500 of the clinic's patients "that may have been involved in this tank." A substantial number of the patients who have stored embryos in the clinic have essentially let them stay there unused for around 8 to 10 years, Herbert said. He said those tissues were never discarded. So, Herbert added, there are large number of the 500 patients whose eggs and embryos stored at their facility are going to be "people who probably won't use them anyway." That doesn't lessen the rise in anxieties that he and his colleagues know patients are going through as a result of the "unfortunate incident." Herbert expressed "condolences" and said he feels sadness "for any of the discomfort or concerns that our patients" experienced as a result of the storage tank situation. He reassured that the clinic has "viable embryos" and that the clinic has put in place more fail-safe measures to prevent a repeat of the tank failure. "People are planning their families based off this technology so we've actually ordered a third alarm system for every tank, that's separate from the tank, so it's gonna be an independent alarm system we hope will help us," he said. Anybody second-guessing Cryopreservation should take heed in the clinic's track record and expertise, Herbert said. "We've created many, many babies for women over the years," he said. "And all the possible checks and balances that can be put in place ... we're adding new redundancies [that] are gonna be in place. Katie DenDaas and Edward Wiese contributed to this article.